Why People Go For K Cups Coffee? If you have not heard of k cups coffee, it is about time. It is one of, if not, the most popular coffee genre in the market. Are you a coffee lover? Do you prefer to drink a cup of coffee one at a time? Well, if you do then Keurig K cups coffee machine is the thing for you. This technology has so many things to offer you and the best is it offers you a fresh and rich flavorful cup of coffee. By the way, what are K cups? This thing is like a small pot of yogurt. Inside of it is an enough ground of coffee (good for one cup of coffee) and a filter. When you place the K cup in your brewer then you close the lid, small holes are blown into the top and bottom. The hot water is forced to pass through the hole in the top, and filtered coffee drips that are fresh come out through the hole in the bottom and go directly into your cup. 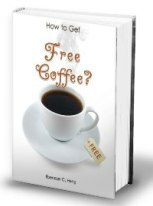 This is a system that works well, and this is the perfect machine for you if you are that kind of person who prefers to drink a cup of coffee one at a time. Moreover, K cups coffee brewer does not require separate grinder so you won’t have to do some cleaning up after the brewing. However, Keurig coffee makers are required when you want to use K cups to make your coffee. Various models of this product are available for you to choose from. K cups have some varieties which will make someone who is fond of inventing such drinks or beverages. There are lots of flavors which serve to give you options. Empty cups of K cups can also be bought for you to fill it with your choice of coffee and tea. Keurig K cup brewer also has more variety than Tassimo. Actually, Tassimo was introduced by the company Bosh and Braun. It has more models where you can choose from and you must know that this is more expensive option. When compare to Keurig coffee brewers that uses K cups, Tassimo on the other hand use coffee pods. These coffee pods are available and can be bought with Starbucks coffee flavors. This is a great opportunity for you if you are one of those Starbucks fanatics. In addition, Tassimo can make a cup of coffee quickly and it can manage to make your cup of “Joe” in less than one minute. Another good thing about Keurig K cups coffee brewer is that it has more "branded" coffee than Nespresso which of course only serves espresso coffee from nestle. 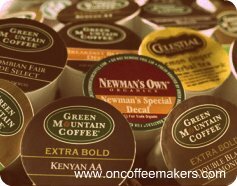 K cups on the other hand have coffee from Timothy, Gloria Jeans, Green Mountain, Caribou Coffee, and many well-known coffee brands. With the variety and the brands that it has make K cups a choice for many coffee drinkers. So, if you like to drink fresh coffee one at a time then Keurig K cups coffee brewer is good for you. If you want to know about other single serve, and not only keurig single cup, do check out our homepage for more information.